Sticky, Gooey, Creamy, Chewy: Food for Thought: Pasta e Fagioli and "Wish Flowers"
Food for Thought: Pasta e Fagioli and "Wish Flowers"
When I first decided to enter The Skinny Gourmet's Food for Thought event, I had grand ideas about what fabulous dish I would enter. Growing up in a big Italian family certainly left me with plenty of material to work with. We were constantly surrounded by food - literally immersed in it. Almost every family memory I have involves sitting around somebody's table behind mountains of pasta, gravy meats and cannoli. There were conversations going in every direction, competing for prominence, and instead creating a sort of controlled chaos. After dinner, the important issues of the day, as well as any pending life-altering decisions were always discussed by the adults at the table, with cups of dark, steamy espresso and Stella D'oro cookies to fortify them. Those were messy, noisy and wonderful times! With all of that to draw from, I suppose I experienced some kind of sensory overload. You see, while I think very fondly of all those large, raucous family gatherings, the memories I hold dearest to my heart are the quieter, simpler ones. The food wasn't nearly as elaborate or exciting, but so much more precious because it meant one on one time with people I loved. My grandfather was a gentle, unassuming man. I never heard him raise his voice to anyone, but when he spoke, everyone listened. Born and raised in the Italian countryside, he loved to garden. Living in a small, two family house with a concrete backyard in the Bronx made that a little difficult. Grandpa worked out a deal with a guy who owned some empty lots a few blocks away. He would maintain the lots by cutting the grass and weeding, and in exchange, he would get to plant his own vegetable garden there. Everyone called it "Papa's farm". When I was little, he would take me by the hand and off we'd go, to Papa's farm, to gather the daily harvest. I would help him pick the tomatoes, peppers, corn and the rest of the bounty, but mostly, I would hold the basket. Of all the things he grew, the one that intrigued me most were the dandelion greens. To a five year-old, dandelions were little yellow flowers that grew wild in between the cracks of the sidewalk or on those tiny patches of grass along the road. When they got old, the yellow flowers turned into little fluffy, white pom poms. We called them "wish flowers". Stumbling across one of those ethereal orbs was a treat. We'd pick them, make a wish and bloooowwww. If all of the little white tufts flew off into the air, your wish would come true. 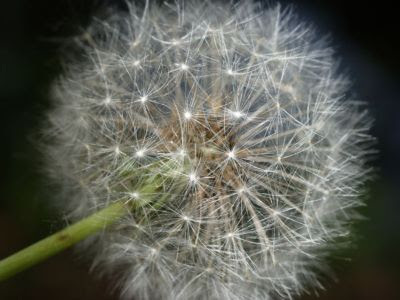 Yes, dandelions had their purpose, but...they were weeds! You don't eat weeds, or do you? 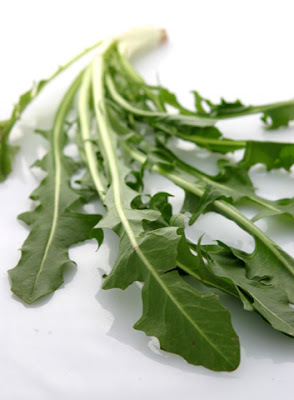 While the dandelion is considered a weed by many, the plant does have a place in the kitchen. The leaves can be eaten cooked or raw in soups or salads. They have a slightly bitter taste, and are similar in nature to mustard greens. The leaves are high in vitamin A, vitamin C and actually contain more iron and calcium than spinach. Growing up, I ate my share of salads made with dandelion leaves. I just never knew that they came from my "wish flowers"! I really wanted to make a dandelion salad for you, but alas, dandelion leaves were nowhere to be found around here, and believe me, I searched! I do occasionally see them at Whole Foods, and I buy them whenever I do. Then, I eat my salad, drink a nice glass of wine and "wish" that Grandpa could be here to share it. As quiet and low-key as my grandfather was, my grandmother was feisty and outspoken. I spent an awful lot of time with her when I was a young child. Those were the days before pre-school became a popular option for working parents. My parents ran a pretty nice-sized business back then. Sometimes, they would take me to work with them. Many times, however, they would drop me off with Grandma, to spend the day roving from one adventure to another. One of our favorite things to do was go grocery shopping. She would grab her fold-up shopping cart and we'd head for the bus stop. I found public transportation very exciting back then. Go figure! Anyway, in those days, if you were Italian and lived in the Bronx, you went to Arthur Avenue or Morris Park when you needed to do serious food shopping. We'd work our way down the avenue, visiting the bread stores (not to be confused with the pastry shops), the fish markets, the pork stores, the homemade pasta stores, and an assortment of of the other highly specialized food venues. Every vendor knew her by name. "Buon giorno, Signora!" they would call out as we entered each shop, "Come siete oggi?" She would smile and nod and then get down to business. My grandmother was a master negotiator. Yessiree, she could be one tough customer! When Grandma's cart was full, we'd get back on the bus and go home to survey our "loot". If I had to choose one of my grandmother's favorite "go to" dishes it would have to be pasta e fagioli. She used to make it at least once weekly. I think that was because it's a quick, easy and inexpensive dish to prepare. Whatever the reason, I loved it. I remember many times, when my parents had to work late, it was just the two of us in her little kitchen, eating bowls of "pasta fazool", as I called it. Pasta e fagioli literally means pasta and beans. Depending on your recipe, it can be either a thick, stewy dish or more like a soup. My grandmother's version was the former. It is a very simple, rustic dish made with tomato sauce, onion, garlic, cannellini beans and, of course, pasta. Cannellini beans are very popular in Italian cuisine. They are a creamy white bean similar to Great Northern beans. They have a mild flavor which enables them to blend in perfectly with many different dishes. 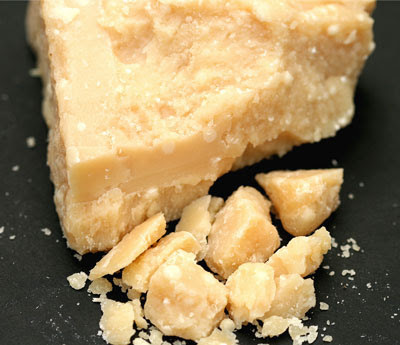 In many areas, such as mine, it is difficult to find fresh or dried cannellinis. So, for this dish, I used canned beans. This is okay, because frankly, I think that my grandmother usually did this as well. It drastically cuts down on your cooking time and doesn't compromise the taste at all. Just make sure to drain and rinse the beans really well. 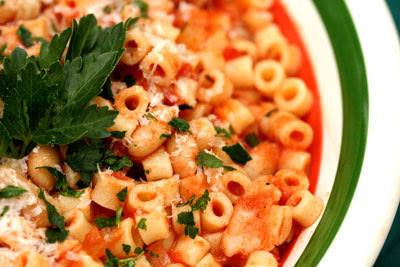 As for the pasta, ditalini pasta is the only kind that my grandmother ever used and that is good enough for me! After dinner, Grandma would bring out the cookies and the espresso or "black coffee", as she called it. She'd put a thimble-sized serving of coffee into a cup of milk for me. I felt very grown-up sitting at the table with my Grandma, drinking black coffee and chatting. At some point, we'd end up in her tiny living room, sitting on a plastic slipcovered sofa, watching the Dean Martin Show until I fell asleep. Although, my grandmother is long gone, I still carry her with me to this day. I wish she could have shared the milestones in my life, like my marriage to a wonderful man and the birth of my beautiful child. I wonder what she would have thought of these things. Somehow, I think she would have approved. Put a large pot on the stove to boil. 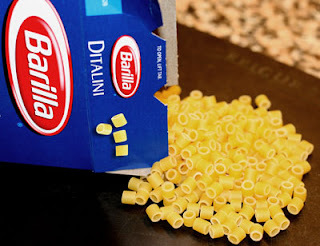 When boiling, cook the ditalini until al dente, about 10-11 minutes. Drain. Meanwhile, in another large pot, heat olive oil and saute onion over medium heat until soft. Add garlic and saute a few minutes more. Add marinara sauce and water and simmer for about 10 minutes. Add beans and continue to simmer until heated through. Add pasta and mix well. If the sauce is too thick, add a little of the pasta water to thin it out a little, if desired. Serve in a large bowl with grated cheese and parsley sprinkled on top. Hey pallie Susan, what a wonderful rembrance of your grandmother...and how cool that the two of you watched our Dino...never was, never will be anyone as cool as the King of Cool. Oh, to return to the days when Dino walked the earth! What fun memories!! This pasta dish looks delicious. I actually have some ditalini in my pantry! What a beautiful story Susan. I love the way you have captured your grandparents. I'm looking forward to giving this pasta a try when I get back into the land of well-stocked grocery stores! Mm, like eating wishes. I love not only the recipe but the story behind it! I loved dandelions as a child too - gorgeous flowers. This pasta looks delicious - perfect for a cold night. Dino- Thanks! I'm glad you enjoyed the post. DM certainly was the coolest! Deborah- Thank you. Make the pasta. It is easy and good! Mochame8= It's a small world, isn't it? Where were your grandparents from? Skinny- Thank you so much! It was fun remembering. Thanks for doing the event. Cakespy- I'm glad you liked it. I enjoyed writing it. 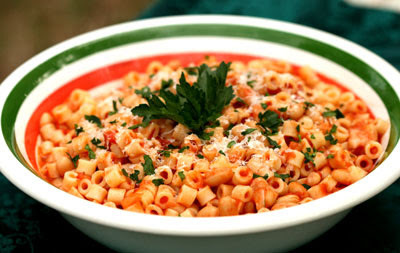 Gorgeous picture of the Pasta e Fagioli! Cate- Thanks! I'm glad you liked them. 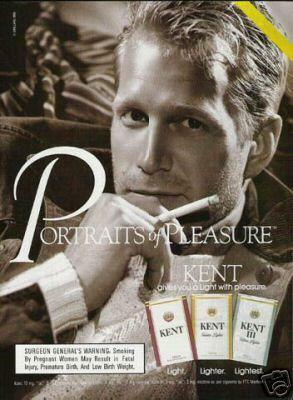 Darrin- I'm glad you enjoyed the post. Squash blossoms are my favorites. My grandmother would stuff them with cheese and batter and fry them. My Dad used to grow his own and make a soup with them. Sunny Skies, Lemon Pies and.....Fruit Flies? Thank You Well Fed Network and Slashfood!